A few years back, AppsFlyer announced the first automated cost and ROI reporting for Facebook and Google. This was a game changer from day one, allowing marketers to get real-time data on the return on investment for their Facebook ad and Adwords campaigns across other media sources for the first time. Since then, our cost reporting feature has come a long way—we have worked closely with more than 170 leading media partners and built an extensive list of preconfigured and automated cost integrations now covering over 93% of all installs. But there’s far more work to be done. We want marketers to unveil campaign ROI at the deepest levels of granularity, and we won’t stop until we reach this goal. 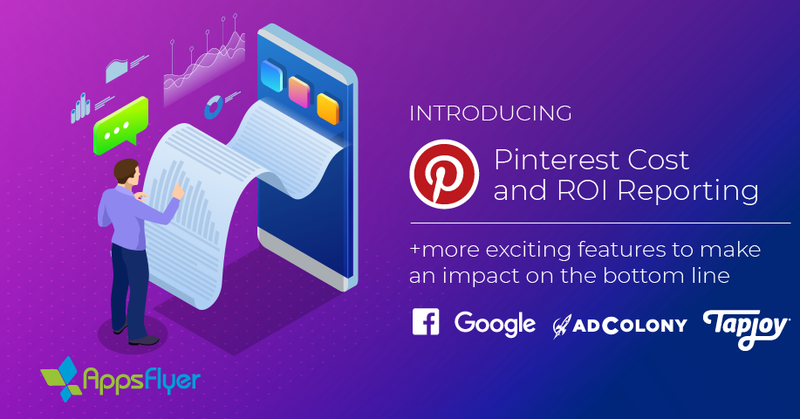 With the launch of Cost and ROI reporting for Pinterest promoted pins we are once again making history. 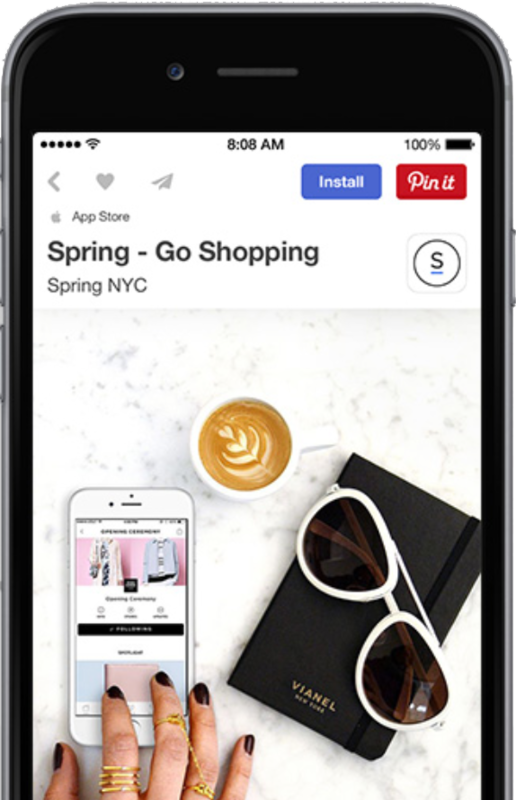 This new advanced integration allows app marketers get instant access to Pinterest campaign data including impressions, clicks, cost and more, alongside post-install activity such as in-app purchases, sessions, ARPU and others—all through a centralized, easy-to-read dashboard. This is another industry-first for AppsFlyer, and we would like to thank our amazing partners at Pinterest for helping to make this a reality. To start measuring Pinterest cost data, head over to the Integrated Partners section in your AppsFlyer dashboard. AppsFlyer allows you to slice and dice your cost data based on various dimensions and segments such as media source, site ID, campaign, channel and more. Today, we are adding new geo dimensions in the AppsFlyer dashboard for Facebook and Google providing insights into the performance and ROI of your campaigns in different geographic regions, so you can decide where to focus more of your advertising efforts and budget. Building upon our partnership with AdColony, we have updated our AdColony cost integration, adding several important improvements to the tracking link structure that should increase reporting accuracy. Planning on running new campaigns with AdColony? Make sure that you are using our newly updated tracking links. ROI is the holy grail of mobile app measurement, but determining the ROI of a specific app marketing campaign can be a handful. Equipped with AppsFlyer’s capabilities to effectively and easily measure mobile ad spend and ROI, marketers can optimize mobile marketing for what matters the most – the bottom line. 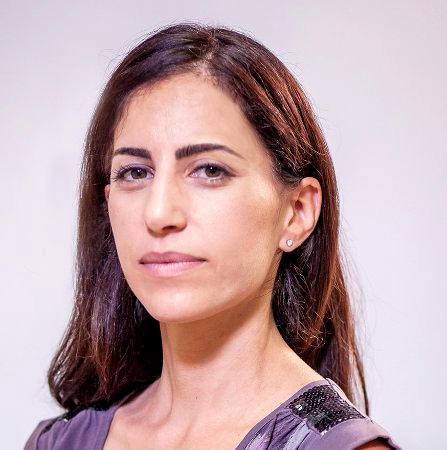 Want to learn more about AppsFlyer’s cost and ROI reporting? Click here or talk to your Success Manager today.